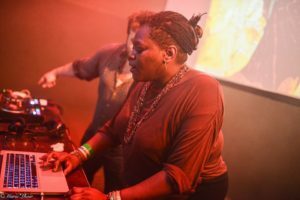 Artists Franck Leibovici & Julien Seroussi present an audio performance of the material from their Bogoro project – which is a study of the legal process of the famous Bogoro massacre in DRC, the first persecuted by the ICC. 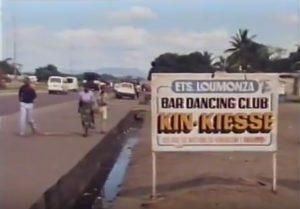 Screening: Named after Kinshasa’s joie de vivre of the 1970s, Mweze Ngangura‘s Kin Kiesse (1981), is the first film to document the city’s nightlife (as well as the days after). Narrated by a 18-year-old Cheri Samba. Freedom of Sound: a presentation of sonic politiks by Collectif Afrikadaa, featuring live performances by Kovo Nsonde Trio (band); Michelange Quay (w Ndoho Ange) (band); DJ selections by Rokia Bamba-Mennessie, Mo Laudi and Jacques Goba.